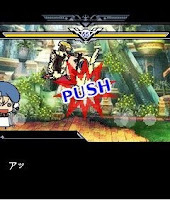 Arc System Works continue to spread their most recent fighting franchise Blazblue around the various platforms by bringing upcoming title BuruMoba BlazBlue Mobile Battle to mobile phones in Japan via the Mobagetown mobile service. 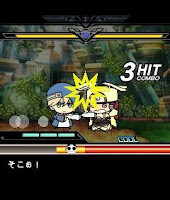 Players will use super-deformed versions of the game's characters (referred to by Arc System Works as "puchi “) and will engage in one-handed combat with each other. 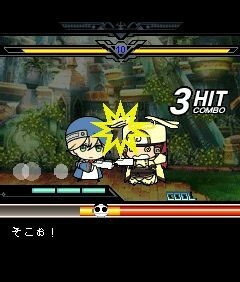 Versus play will be available as well as the ability to use the game's Cheering/Support System which speaks for itself. 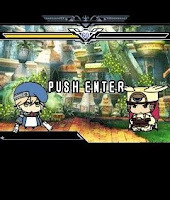 The Challenge Mode will allow players to fight in a survival style of play where you take on opponents endlessly. There will also be a levelling up system with characters that can be increased the more you fight. Once your character reaches certain levels, additional characters in the game will become available. Item collection will also be included in the game where items will be dropped and can be picked up whilst in battle. The game will be a free to play title but players will have to pay for extra items. Additional details can be seen over on the official website (Japanese only).